Kate Middleton’s official due date has come and gone, and still we’ve been on tenterhooks waiting for news of her new arrival. Now it seems the royal baby could be on the way – and sooner rather than later. 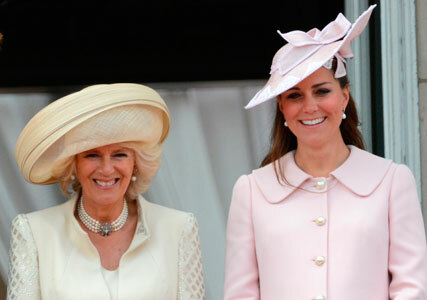 Yesterday, Duchess Kate’s mother-in-law the Duchess of Cornwall said she has been patiently waiting for the all-important telephone call, and let slip she expects Kate to give birth before the end of the week. Speaking during a visit to Devon and Cornwall with Prince Charles, Camilla said: ‘We don’t know what’s going to happen. We’re all waiting at the end of a telephone. As the warm weather hit over the weekend, pregnant Kate Middleton and her baby bump escaped to the countryside, travelling to her parents’ secluded home in Bucklebury, Berkshire. One insider told American magazine Us Weekly: ‘It was just too warm in Nott Cott. [Nottingham Cottage, the home she and Prince William share in the grounds of Kensington Palace]. 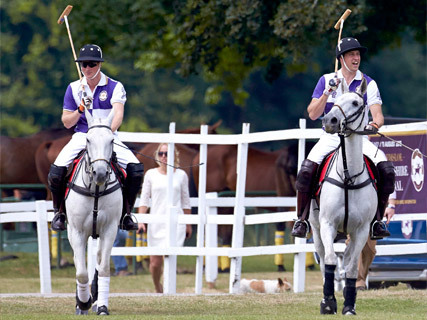 Meanwhile, Prince William, who reportedly has a helicopter on stand-by at all times, seemed none too concerned, playing a charity game of polo with Prince Harry. Last week we spoke to BBC Camera man Tony Dolce – who has been stationed outside Buckingham Palace – about how Kate Middleton’s royal baby news will be announced. ‘When we hear that the Duchess of Cambridge has left for the hospital, a journalist will be sent over to St Mary’s in Paddington to present in front of the camera outside and will go live straightaway,’ he said.